Sectional doors are made of horizontal panels that are attached together with hinges. The panels are spring counter balanced and lifted with aircraft cables over cable drums. The door sections are made of steel, aluminum and/or wood. The doors can have solid sections, open expanded flattened diamond mesh, windows, or any combination of sections. If damaged, sectional door offer the convenience of only replacing the damaged sections. Hinges & rollers are also readily available which speeds repair and minimizes your down time. 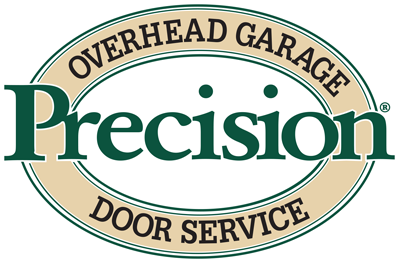 Rely on Precisions' Commercial Division to repair or maintain your Businesses' Sectional Doors. Very professional company. You repaired my garage door better than I ever suspected it would be... I would highly recommend them.